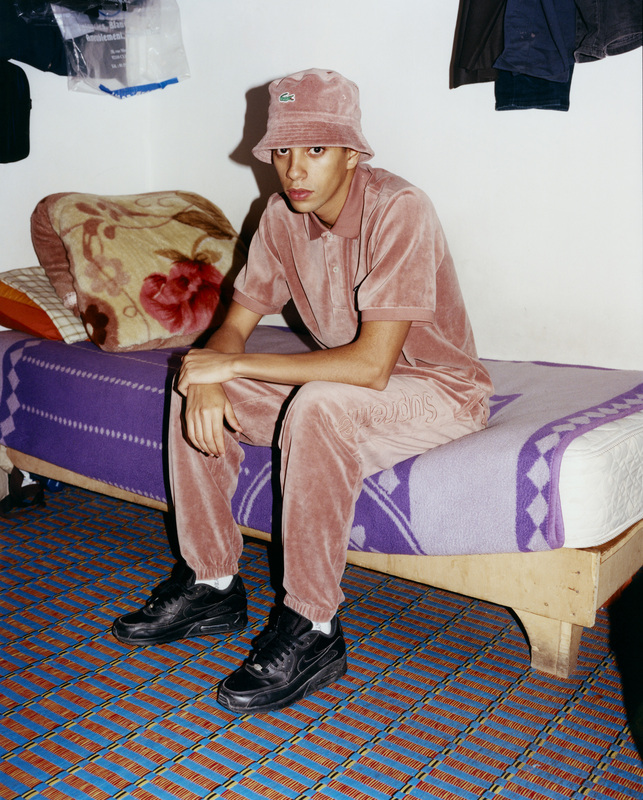 Lacoste has many facets to their ensembles. Most notable is their relationship between the court and Rene Lacoste’s resilient, yet ground breaking, approach to tennis wear. But while this will forever be in the history of the brand, a similar rise within streetwear has also assisted to help build their authenticity. 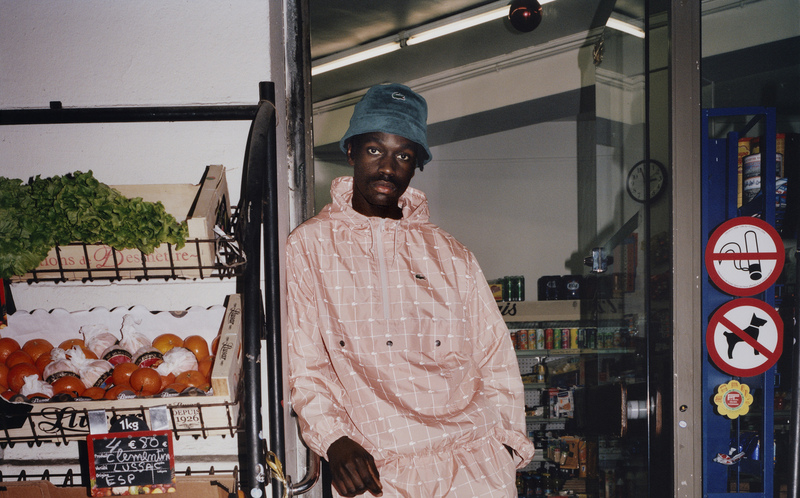 Their emphatic influence on New York street culture in the 80’s through to the 90’s is a nod to appropriation of the iconic polo but also a playful take on everyday basics. 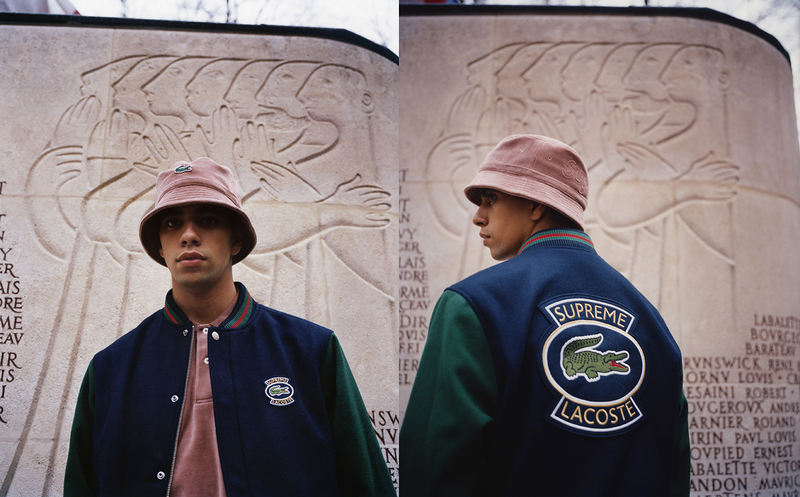 In turn this relevance has not only allowed Lacoste to become iconic to masses but also superior to the those who desire an edge. 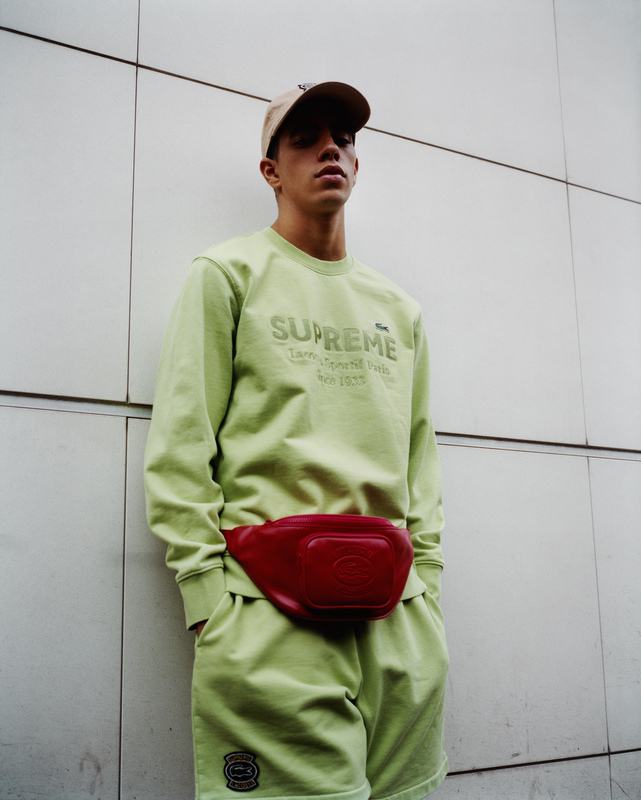 With that in mind their collaboration with streetwear brand Supreme is less surprising than many may think – it stands as a point of natural evolution. Supreme has the ability to elevate any brand it associates with, yet it does feel like both are on a level playing field with this latest delivery. The looks themselves reference the past in their bellowing shapes and vibrant tones. 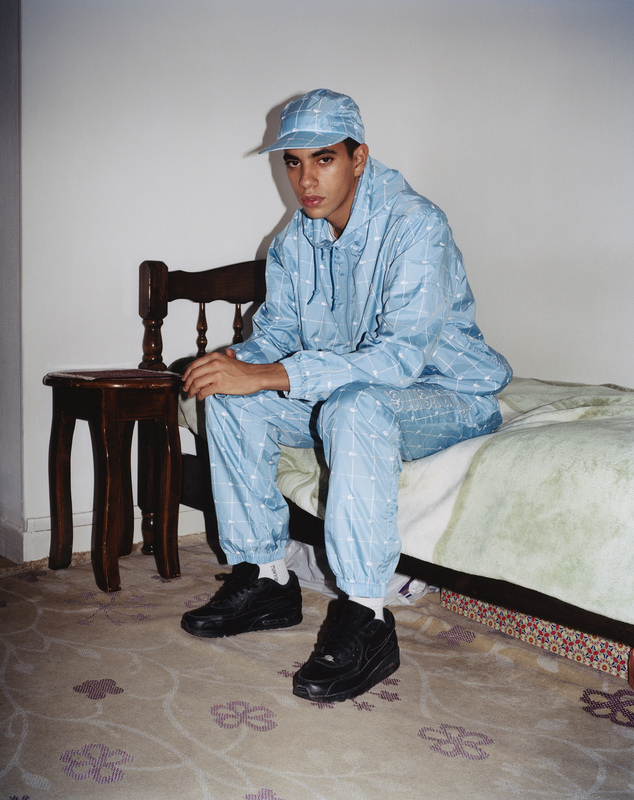 Velour tracksuits sit at home with sweatshirts and polo shirts. Accessories also play their part: bucket caps, satchels and baseball caps all receive an update. However, the inclusion of a varsity jacket is interesting. With a history that references college ivy league it is impressive how this feels at home with the other pieces. 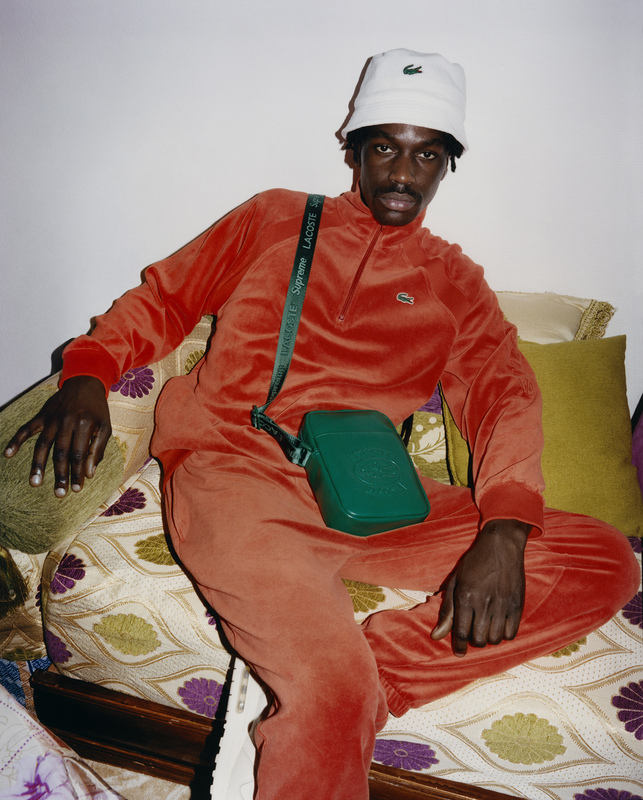 Oversized and emblazed with the Lacoste croc on the back, it has the feeling of a piece seen many times before yet on this occasion it is engulfed in a sense of purpose when overseen by two distinguishable brands.